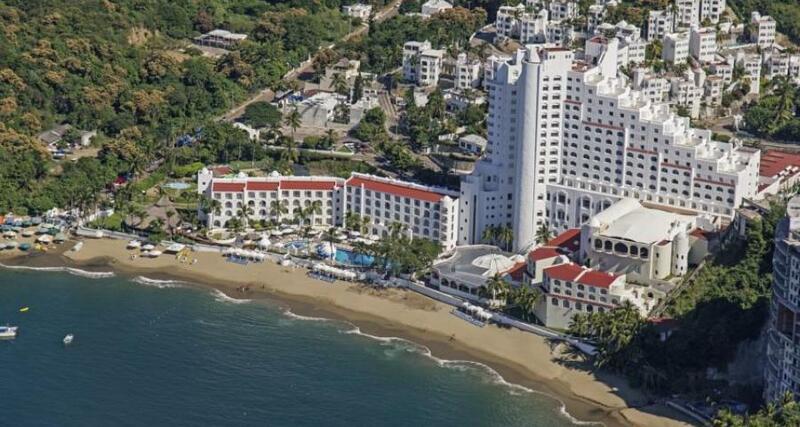 Tesoro Manzanillo is a 4.5* family friendly beachfront resort located in Manzanillo, Mexico. It features 331 rooms and swimming pools. All inclusive meal plans are available! Tesoro Manzanillo is an all-inclusive resort located on La Audiencia beach in the beautiful state of Colima. The hotel property is made up of various outdoor pools, including water slides for adults and children, restaurants, bars and various rooms for hosting special events, not to mention a renowned spa. Enjoy spectacular views of the Pacific Ocean and experience a relaxing stay in this oasis that offers peace of mind, comfort and fun for the entire family.